Di Laundess from Brave Hearts, luncheon organiser Debbie Kent and Jenny Black from Brave Hearts. 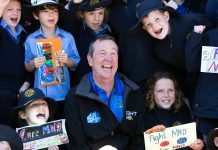 A luncheon that was created to get raffle ticket sellers out of the cold surrounds of a footy ground on match days, has turned into one of the biggest fundraising events for Brave Hearts on the Murray. The North Albury Football Netball Club hosted its ninth annual Ladies Pink Luncheon on Saturday, which turned out to be the biggest yet, attracting a full house of 265 women. Founder Debbie Kent says the luncheon started from humble beginnings. 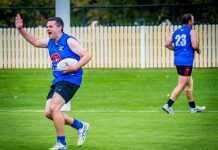 “When we first started we raised around six thousand dollars, now we could end up with around 17 thousand dollars, including the auctioning off of the players footy jumpers,” Debbie said. 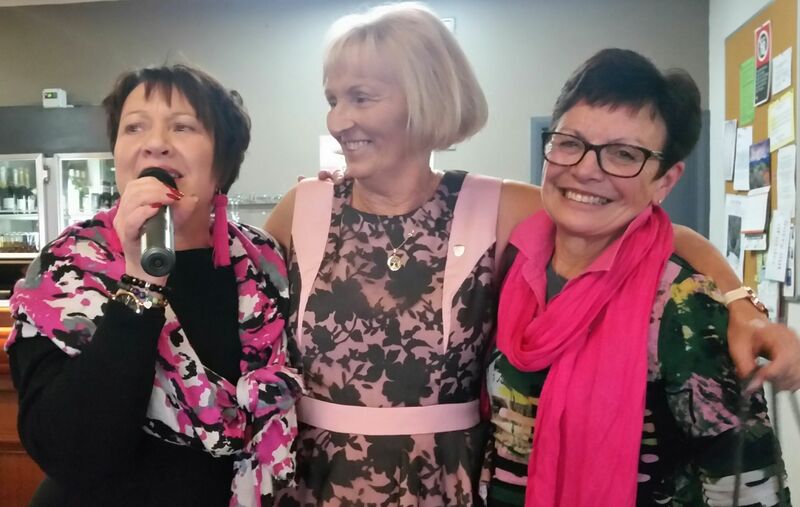 Brave Hearts member and cancer survivor Di Laundess says North Albury has become their biggest financial supporter. 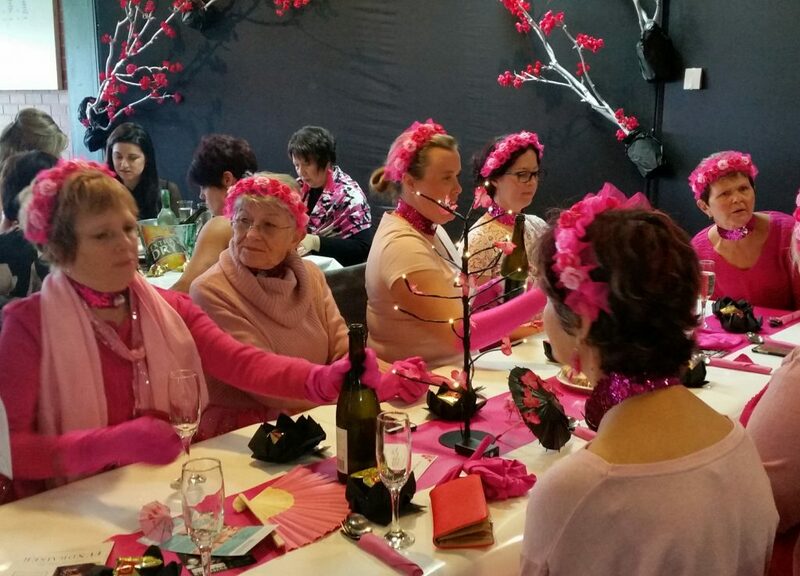 For Debbie Kent, the idea of creating a luncheon was designed as an alternative to traditional fundraising efforts at the footy ground. “I didn’t want to see them standing outside selling raffle tickets in the cold,” Debbie said. “I thought, I can do better than that. I’ll bring them inside, we’ll put on a lunch and it’s just got bigger and bigger. The ladies are generous, but you know the sad thing is, cancer is very easy to sell because every family knows someone with it. Debbie Kent with the M.C’s over the years. 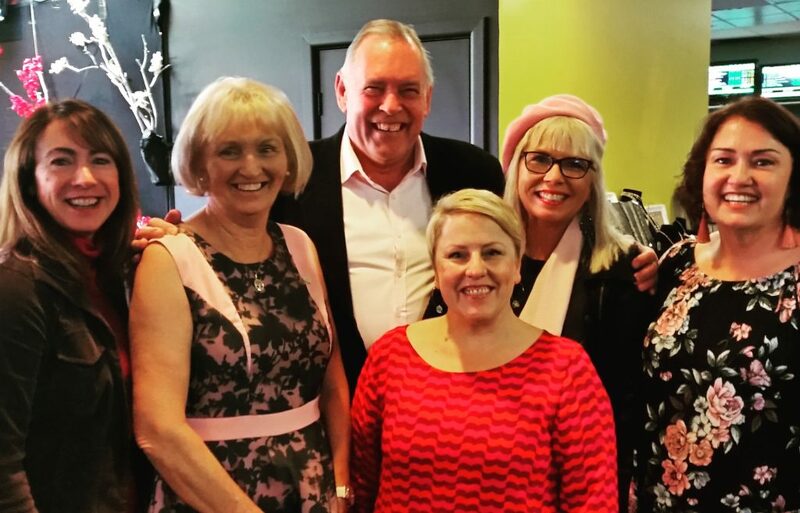 Kylie King, Andrew Walker, Sandra Moon, Karin Willcox and Gaye Pattison. As a tribute to the 9th event led by Debbie, who will take a back-seat next year, she also organised all former M.C’s of the event to return to share the microphone for hosting duties. To keep up to date with the latest lifestyle news, foodie finds, events and more, sign up to our free weekly newsletter, delivered direct to your inbox here.